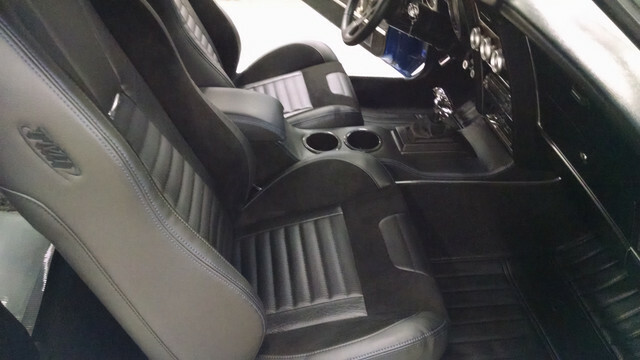 Has anyone installed a late model center console into a 71-73 Mustang? I am having trouble finding a full length medium blue console with cup holders for my car. I know it is not for the purists sinc it isn’t OEM, but’s I prefer function over form. Before I saw the light, I had a ‘72 Nova and you could do a director swap of a Dodge Neon into the Nova and it fit perfectly. Has anyone heard of a similar swap for Mustangs? The aftermarket Hump hugger consoles are pretty nice. I have seen the TMI in several of out rigs. Looks good and the owners really liked them. I use a Plug & Chug. I have a TMI one that matches my seats. You can get it in different colors. The only problem is it is for the 69-70 cars. I had to modify it to fit my 73. I also modified it to fit my aftermarket shifter.